Riser Retail Group (RRG) is a boutique commercial real estate brokerage company that specializes in the acquisitions and dispositions of retail, office, and industrial properties throughout the United States. Through our industry expertise, capital market knowledge, innovative marketing techniques, and creative deal structuring abilities we are able to deliver the highest level of service for our clients. RRG’s extensive nationwide investor relationships provide a national marketplace for our client listings. Our team is exceptional at importing capital from inflationary driven markets to higher yielding investments generating maximum property value for the Seller and a higher yielding return for the Buyer. This win-win approach coupled with our client focused relationships often results in long term relationships where RRG becomes an extension of the client’s team. John Riser started his commercial real estate career with Marcus & Millichap in 2001 and quickly achieved the status of Senior Director. In 2004, John earned his first membership into the Chairman’s Club and entrance into the firm’s Seven-Figure Club. He was the Top Multi-Tenant Retail agent (2004 & 2005). John left Marcus & Millichap in 2008 to start the independent boutique brokerage firm, Riser Retail Group. In his spare time he calls the TV time outs for the Indianapolis Colts games and passionately enjoys mountain and road biking, traveling, wine tasting, and golf. 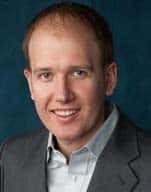 Jason Johnson joined the Riser Retail Group in 2003 and has been actively involved in the disposition of over $500 million in real estate. 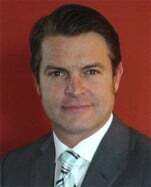 He is the lead financial underwriter and escrow manager for the Riser Retail Group. Other responsibilities include new business development, legal document preparation, and IT management. Edward Laycox, President Urban Acre Investments, specializes in the sale of commercially-zoned land and income producing investment properties in the Washington, DC, Metropolitan area. His expertise also includes urban retail, anchored retail and single tenant net leased retail properties. 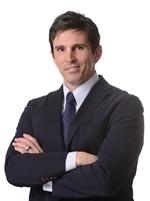 Ed brings to the firm over 18 years of valuable retail and commercial real estate experience. Ed began his real estate career as a broker in North Carolina. Prior to forming Urban Acre Investments, Ed served as the Senior Associate at Colliers International and Marcus & Millichap. During his tenure with M&M, Ed managed the Special Asset Services division in the Mid-Atlantic and worked primarily in seller representation closing more than 100 transactions totaling over $300 million. Ed also served as the former Director of the Investment Services Team at Colliers International and managed a variety of retail assets across the Mid-Atlantic, which include several anchored centers in Northern Virginia, anchored shopping centers in North Carolina, and urban retail in DC & Georgetown. Paul D. Somers joined the Riser Retail Group as a Broker based in the Jacksonville, Florida area. 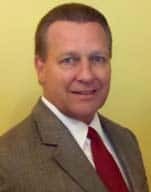 Acting as a corporate employee for larger companies and owning his own business since 1991, Paul has 33 years of real estate experience in a multitude of areas from site selection for single tenant users to shopping center development, including construction and all forms of financing. In addition, Paul has headed up a property management company, sold commercial property, including single tenant properties, office buildings and shopping centers. These experiences have provided Paul with a well rounded understanding of the real estate business and will allow Paul to understand issues and problems relating to potential buyers and sellers in today’s market. Paul currently holds a Real Estate Broker’s Licenses’ in the states of Indiana, Georgia and Florida. The Riser Retail Group has relationships with investors across the country and the team is exceptional at importing capital from inflationary driven markets to higher yielding investment properties in the Midwest and Southeast. The Riser Retail Group is actively involved in the market through our contact with investors on a daily basis. We keep our finger on the pulse of the market and forecast trends in the market before they happen, constantly keeping our clients ahead of the curve. The Riser Retail Group has been primarily focusing on retail properties since its inception and has developed a thorough understanding of the intricacies associated with retail properties. The team has executed over $1 billion in transactions, making us one the leading retail brokerage teams in the country. The Riser Retail Group’s strong relationships with financial institutions and conduit lenders helps ensure the Buyer will receive the most aggressive debt quotes on every transaction. Our team’s attention to detail ensures that properties are accurately underwritten using institutional standards. We are often able to uncover hidden value in a property as well as potential hazards to a deal through the comprehensive preliminary due diligence we perform on each deal. The team’s transaction experience and proactive approach to escrow management are what separate us from our competition. Our transaction management ensures the escrow leads to a successful closing. We consider ourselves an extension of our client’s team, constantly focusing on our client’s best interest. Our input, knowledge, experience, and resources are always available to our clients.